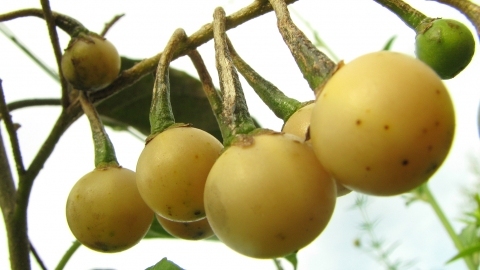 Solanum dictyoticum Roem. & Schult. Incredible detail on all the species in Solanum (now also including the Tomatoes which were formerly in Lycopersicon). The site will eventually include all other Genera within the Solanaceae. S. America - Argentina, Paraguay, southern, central, eastern and northern Brazil. The plant is commonly used in Brazil, especially to treat digestive problems and a sluggish liver. Modern research has borne out these traditional uses.